We have a lot of monthly payments to make and as a result my monthly debt load is out of control. My wife and I would like some suggestions regarding what we can do about controlling our monthly payments so that we have some money left over at the end of the month. We have the usual utility payments, cell phones, cable, heating and water. We own a house so we pay a mortgage and taxes. There are two car loans and then there are the credit cards. We have not been able to pay the balance in full on several cards and as a result we are paying a lot of interest on the unpaid balance. We have no money left at the end of the month for social activities, our savings etc. Please help. Focus on the big ticket items first to maximize your results. After that you can decide if the smaller items are worthwhile to be considered. Once you have paid off some of your debt and freed up cash flow, this money can be used to reduce other debt items more quickly! We are all spending beyond our means from time to time, but when our wants overtake our needs this is when we get into difficulty financially. Then there are the issues of making enough money and the jealousy of the rich. The real issue is not the wealth of the 1 per cent. But the difficulty the 99 per cent is having in raising its own standard of living. Why are young people having so much trouble landing career-building jobs? Why are pensions disappearing? More companies offering contract work instead of full-time jobs? Why is it so hard for laid off middle-aged workers to find new employment? These are all great questions. But really have no interest for someone who has been laid off. Or for someone who has been spending beyond their means and now has a mountain of debt to deal with. Sometimes it is also a health problem, sometimes it is getting laid off or a host of other reasons. Bottom line is that we all need to have a cushion, an emergency fund, something to rely on when things just do not go the right way. An emergency fund is really supposed to be used to cover true emergencies and not just over spending. If you can deal with the spending issue without digging into your emergency fund or worse your retirement savings then you are better off. Avoid the credit cards and if you do not have the money to pay for the item that will put you over the top, then delay until a later time. It will just cost you more money in interest as well as worry about how you will pay for it. 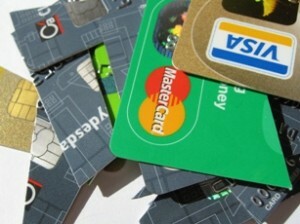 Credit cards, they are the problem for most consumers when it comes to cash flow management. If you cannot pay your credit card bill on the due date then you are having trouble with cash flow management. It is that simple. The standard rule is that you should not be charging anything to a credit card that you do not have the cash to pay for when the credit card statement arrives. This includes Christmas and other holidays such as a vacation. Credit cards carry high interest rates for any unpaid balance. If your cash flow management was difficult before, then it gets worse when you also have to pay interest on the debt. Especially if the interest charged is at 20% or higher as in the case of store based credit cards. If you are having difficult managing your money, the first approach is to put your credit cards away and pay cash for everything. It will be a difficult period since you still need to repay your credit card debt, but at least it will not grow or continue at the level that it is currently at. If you are collecting points towards airfare, hotels or even cash, forget it. The interest you are being charged will be more than what you will save using a these points. Once the debt is repaid, then continue paying cash for everything. If you do not have the cash, they it means you should not be spending that money since you do not have it. This is often very difficult for many people. You need to decide how much you will spend on discretionary things such as entertainment and eating meals out. Pay your mandatory bills first and then all of your groceries and things that your children and family need. Everything else is discretionary and you need to make sure that you have enough cash to pay for everything especially as you near the next payday. Develop an emergency fund and also a fund for savings that you want to save for, whether it is a vacation or something special that you need to purchase. Continue to pay cash and focus on cash flow management to avoid further debt. The biggest challenge most consumers have is how to manage cash flow and pay all of their bills on time. 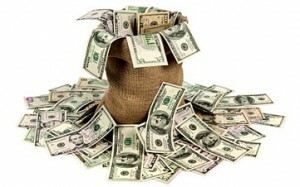 Some thoughts on how to take control of your cash flow include the following. Setting a budget, balancing your income vs. expenses, paying cash for everything instead of using credit cards. Only make large purchases when you actually have the cash to pay for the item. For most people this would be a very tough pill to swallow. Especially if they gave up using their credit cards. Credit cards are certainly convenient since they eliminate the need to carry cash. They also have all kinds of incentives which can be used to buy gifts and travel. Incentives are based on how much you use them. However as part of being able to manage cash flow, you must be able to pay the full balance on the statement due date. If you do not, you pay high interest charges. We all have financial emergencies from time to time. It could be the car needing repairs, a new furnace, a major repair of some kind for the house etc. Or even the loss of a job. Building an emergency fund will not only give you peace of mind since you do not need to worry about these things, your monthly cash flow will not be affected since you already have the funds to meet the needs of the emergency. Once you know you have paid all of your bills, set aside money for emergencies and also any savings you may be planning for, only then can you spend the extra money that is left over on items that you may be looking at and were thinking about buying on credit. If your saving for some large expensive item, this extra money can be set aside for that item to be purchased at a later date. Many people get in trouble by spending money before they actually have it and get further into debt because they now have to pay interest on the debt. 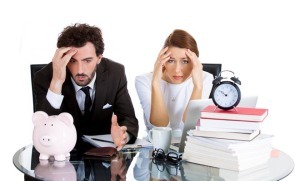 Manage cash flow to avoid these situations and save for emergencies. Anyone who has spending problems and is frustrated with never having enough money to meet all of your expenses can really fix their problems in a very short time frame. As a matter of fact they can fix their spending 7 days if they apply a little discipline and follow the steps listed below. It is true, fix your spending in 7 days. These ideas are not difficult. What is difficult is actually putting them into action. Most peopl Fix your spending in 7 days, if they have the will power can do this in as little as 7 days. Get started now. Fix your spending in 7 days. Tracking your expenses, every last cent, will help you understand where your money is going. Most people have not idea how easily their money can be frittered away on a lot of small things which over a week at up to large numbers. There are lots of free apps for both the iPhone and the android phones that can be downloaded and used for tracking and recording expenses. Get one to make it easier to track expenses when you are on the go. Set a budget to follow and then track or compare your expenses against the budget. You may need to adjust your budget over time as you learn about where your money is going. Focus on one problem area at a time. You may feel a little overwhelmed at first and this is why we suggest that you focus on one area, fix that problem and then move on to the next. You will make major strides in the first 7 days. But to attain perfection in managing your expenses will take a little more time. As your life changes, as your expenses and income changes so will your budget and plans change. Live with it and don’t worry about being perfect all of the time. There are lots of little expenses which add up to a lot, but if there are some large expenses that you can deal with, reduce or eliminate, then perhaps you can make some great strides towards balancing your budget. Focus on these first. Go for the quick wins, these are the expenses you can reduce or eliminate with little pain and adjustment. You will feel better about your budget and your spending if you can get control of some areas quickly. Success breeds more success so focus on the quick wins. We all tend to overspend at some point in the year. But if it is chronic overspending or if it is a large amount, chances are that it is on a credit card. Which you cannot pay off and then the high interest is going to be charged on the unpaid balance. That bargain item that you may have purchased on sale is quickly becoming a not so good bargain. When interest is added, it takes you a long time to pay for it. The savings you may have gained initially are quickly lost. Not keep track of your expenses through the month is a sure way to overspend as well. If it is a surprise at the end of the month when your statement arrives, then this is a sure sign of spending out of control and overspending. Track your spending against a budget and if you do not have the money in your account then you probably should not spend it. One spouse enabling another spouse or their partner is another money mistake that many people make. We want to please our partners and purchase items that please the other. 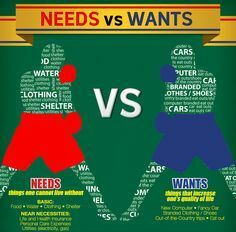 However when it means that we overspend or spend money that we do not have, this can be considered enabling. Helping each other spend money is one of the worst things we can do when it comes to making money mistakes. Neither person has any control. Very shortly you will end up owing a great deal of money and not know how to pay for it. Help each other reach control of the money you spend. Don’t make the mistake of thinking that the other person will look after it. Another money mistake that many people make is denying that there is a problem. Not opening the letters with the bills in them and not looking at statements from the credit card company is a sure way to make a money mistake and get into trouble financially. Both partners should review the statements together and they should take responsibility for payment. Avoiding the statement, ignoring the amounts that are owed are a sure way of ending up with bad credit and owing a great deal of money. Don’t wait until the debt collectors come after you to recognize the fact that you owe a lot of money. 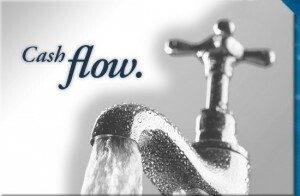 For more details about managing your cash flow, click here. We are doing a series of articles about the biggest financial mistakes that people make. The first one that we wanted to cover was leaving a job before you have another job to go to. This happens to a lot of people for various reasons. They leave a job because they are not happy with the company, the work or the boss and one day they cannot take it any longer and just quit on the spot with no job to go to. In addition they are not eligible for any benefits, separation pay, downsizing bonuses etc. Just quitting can mean they lose a lot of money from not being able to take advantage of these benefits. It is also much more difficult to find a job when you are out of work. Employers would rather hire someone who already has a job that they have to entice to come work for them. Once you are not working, potential employers wonder why you are not working and what might be wrong with you. Find a job, then quit if you must. Many people get a sense of impending layoffs. They tend to wait until they get laid off to look for a job because they want to deal with one thing at a time and they want to take advantage of their benefits that they may be eligible for when they are laid off. While you do not want to lose benefits, it is a good idea to begin lining up another job before you get laid off. This is the best of all scenarios. You do not lose any pay, you get the benefits of the layoff and you start work at another job right away! Before you quit take a few minutes and check on the status of any bonuses, raises, stock options and special plans that might be available. Often working up to or past the dates when these things become active can mean that you save yourself thousands of dollars. Even just working past year end can mean you are eligible for the year end bonus. Not to mention the fact that it is tough to find a job around the holidays. For more posts about financial mistakes that consumers can avoid, click here. Cash flow is the number one thing you should manage when it comes to dealing with your money regardless of whether you own a business or just managing your own personal finances. If you manage your cash flow and always make sure you have money to pay your bills, your chances of going bankrupt are much lower! Your chances of missing a payment are also low and you will not take a hit on your credit rating either when you forget to make a payment or do not have sufficient money in your account. 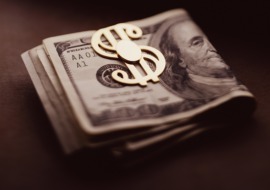 Consider the four rules of cash flow management. Managing cash flow is just as important as managing debt and interest rates and loans. In fact we feel that managing cash flow is far more important than any of these other areas, since if you evaluate the impact on your cash flow each time you consider a loan or a charge to your credit card, you will usually make the right decisions. We wanted to write about this idea of managing cash flow because we felt that it was so important. Managing debt is clearly important, but as we indicated debt is really secondary to managing cash flow when you take into account credit ratings and even quality of life. Always make sure you have sufficient funds available to pay your bills and expenses. Live on last month’s paycheck. Follow these and you should not have to deal with high debt, interest rate charges and short cash situations. If you are living on last month’s paycheck, it means you have this month’s pay check to deal with emergencies. If you are saving for a rainy day, then this money will be there for that emergency. You will really not need this month’s pay check to get by. Make your money work for you. If you have surplus cash don’t spend it, put it to work earning you money on investments or pay off debt to reduce your overall interest charges. There will always be surprises in your life. You just cannot get away from them and you never know what they will be or when they will appear. 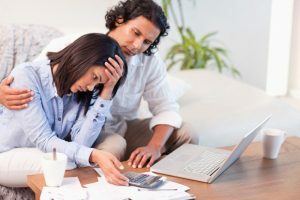 While they may be frustrating, your emergency funds will help you get past the problem and on to dealing with the next. You may even use all of your emergency funds. You may have to begin saving all over again to get that cushion in place. Look at it this way, at least you had the emergency fund in place to deal with it. Now you can get on with your life and rebuilding it. Manage your cash flow in this manner and you should be able to deal with just about anything that comes your way. This takes a lot of discipline and is not for the faint of heart. The temptation to use your emergency funds is really high and most people will succumb to this temptation at some point and then realize that the emergency was not as bad as you thought. Try to build up your emergency fund as quickly as possible to get you and your family back to that safe place again. Most people will need to build several emergency funds over their life times and this is probably ok, as long as you have it there when you really need it. An emergency fund can really provide peace of mind when you are stressed about paying bills and short of cash. Only use your fund when it is really an emergency and not just something that is leaving you a little short. The money can go really fast and it is hard to replace it. So really take the time to make a decision about how you will use these funds. For more cash flow ideas, click here.